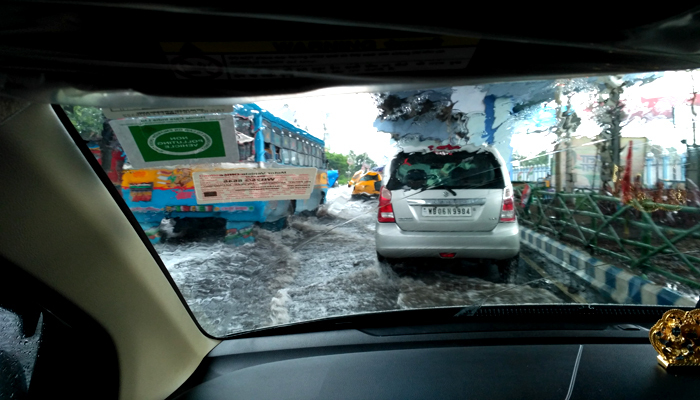 The water-logging at Parama Island on EM Bypass in Kolkata after the rain. Kolkata: The branches of at least 26 trees came crushing on various important thoroughfares in Kolkata during a rain and thunderstorm that lashed the city today afternoon. The rain and thunderstorm almost came as a bolt from the blue at around 3.30 pm even as immediately before this, the city sky was shining like a hearth. The shower was accompanied by a strong wind blowing up to 40 kmph speed. The spell barely lasted for an hour but left its mark of devastation in all over the city. 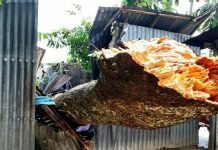 Kolkata Police and civic body officials said that the storm made branches of trees collapse on 26 places in the city’s main thoroughfares. The number is likely to be higher if broken trees in lanes and by-lanes are counted. The major thoroughfares on which tree branches fell include Camac Street, AJC Bose Road, College Street, Garden Reach, Ganesh Chandra Avenue, SN Banerjee Road, and Beadon Street. At Garden Reach, the driver of a private car has been injured after a branch fell on the vehicle. He has been hospitalised with a critical injury. 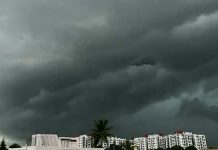 The Alipore Weather Observation Centre has said that during the nearly one hour it has rained 21 mm in Kolkata. The water-logging caused by the rain and the fallen tree branches slowed down traffic movement across the north and south Kolkata. Traffic police personnel joined the civic body workers in chopping off the fallen trees and clearing the roads for people returning home from office and businesses. 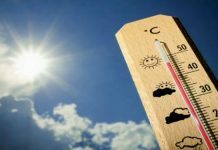 The weather office has issued a warning for a squall gusting up to 60 kmph and hailstorm in the districts of Howrah, Hooghly, East and West Burdwan, and East Midnapore later this evening.